The Dutch Lions FC victory in Midland Saturday night tightened up the race for the Lonestar Division championship. Since Dutch Lions have a game in hand, they lead the race on a points earned per game (PPG) basis. With the victory Saturday, Dallas City FC now moves into a second place tie in the Heartland Conference. HDL FC controls its own destiny-playing the Rafters at home this weekend and again in Shreveport on the final Saturday of the regular season. Midland-Odessa has one game remaining-at home against last place Tyler FC, a week from next Friday. Ft. Worth remains in the running with 3 remaining matches-home and away against 5th place (on goal differential) Houston Regals SCA and the postponed game in Tyler. 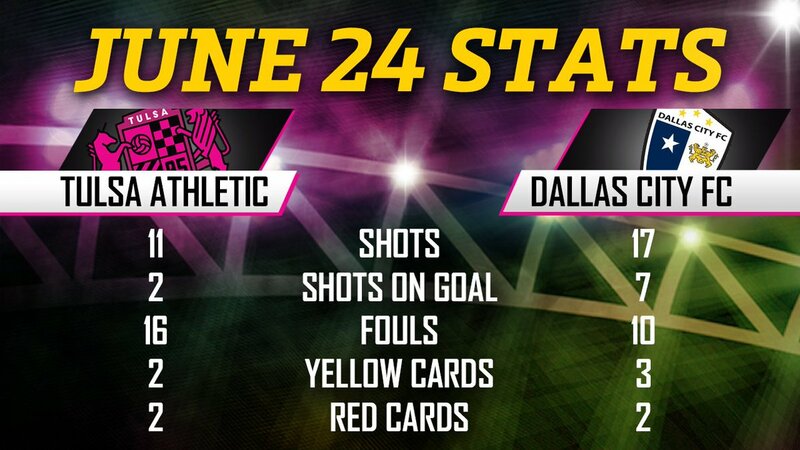 Dallas City FC has 3 remaining matches, including a last weekend game in Kansas against Division leaders, FC Wichita. 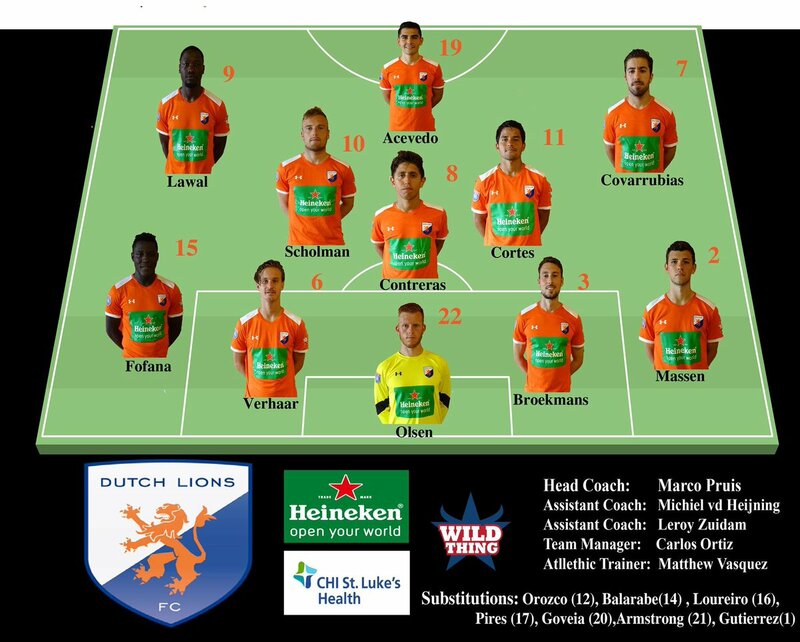 An 89th minute goal from midfielder Jose Pablo Covarrubias allowed Dutch Lions FC to salvage a point in the road game against Regals SCA in Houston Wednesday night. The tying goal came 7 minutes after Marvin Sanchez had put Houston in the lead when he converted a penalty. Carlos Acevedo had originally opened the scoring for Dutch Lions when he hit in the 36th minute. Simon Okologo had pulled the Regals level when he scored in the 67th. Regals SCA finished the game shorthanded when Noe Garcia was sent off in the 90th minute after picking up his second caution of the match. Shreveport Man of the Match Steven Bush scored twice after entering as a second half substitute to lead Rafters FC to a 3-1 win over Houston in Shreveport. A second caution in the 33rd minute to Regals SCA Chibuzor Nnalue forced the team to play a man down for almost 60 minutes. Despite this setback, Regals SCA Marvin Sanchez tied the match in the 57th minute. A straight red card issued to the Regals Simon Okologo in the 88th minute, when Houston trailed 2-1, sabotaged any attempted comeback. Bush put the game away shortly after with his second. A furious second half comeback from Midland-Odessa FC Sockers fell just short and Dutch Lions FC took away a wild 4-3 victory in Midland. Trailing 4-1, the Sockers Ricardo Palomino scored in the 75th minute and a penalty scored by Darius Strambler in the 86th pulled Midland-Odessa back within one. HDL FC was able to see out the victory and move within one point of the first place Sockers (with a game in hand) in the NPSL Lonestar Division. Midfielder Jesus “Chuy” Cortez scored twice for HDL FC to lead the team to the win. Additional goals, scored by Jerry Scholman and defender Archie Massen, helped build the early lead. This was the seventh consecutive match where HDLFC picked up points, intensifying Dutch Lions race to catch the Sockers. According to the game report by Odessa American’s Eric Blum (@EricBlumOA), the match officiating was controversial, with a Sockers goal disallowed and another HDL FC goal scored from a possible offside position. Sockers head coach Matt Barnes certainly thought so. In an interview with Blum after the game, he talked about the impact this decision had on the match: “I’ve never seen a linesman make that big of an impact in a game,” Barnes said. “A thousand people saw that the kid was offsides tonight. The replay clearly showed he was offsides. A link to Eric Blum’s OAOA game story can be found here. 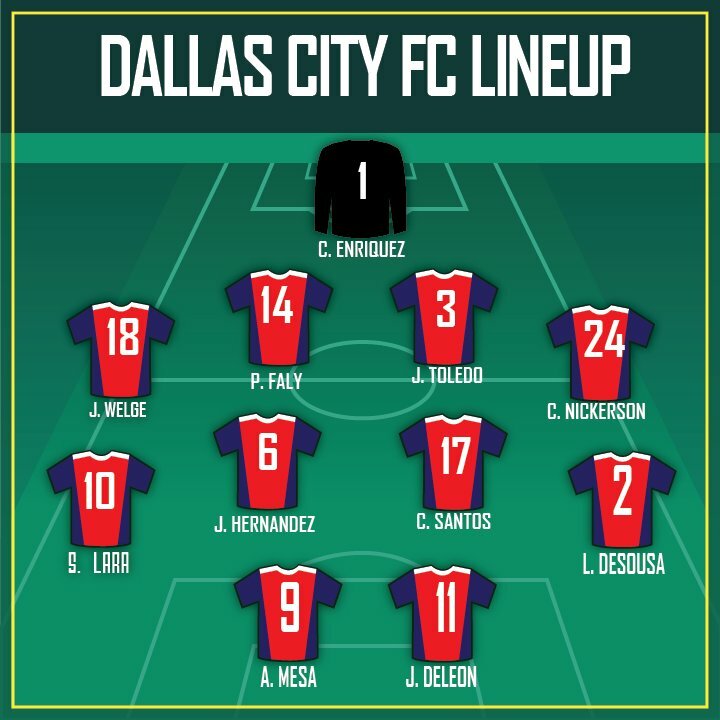 Two second half goals by Luiz DeSousa, the second coming in stoppage time, led Dallas City FC to a 2-1 victory in Tulsa. What makes the game winner interesting is that Dallas City was apparently playing with a two man advantage at the time the goal was scored. According to the Athletic Twitter page, a fight broke out near the Dallas goal in the 87th minute. One Tulsa player was issued a straight red and one was ejected for picking up his second caution, leaving Athletic with 9. Dallas City’s Ever Alvarado was ejected also, but since he was on the bench, the team did not have to play short-handed. The Vaqueros website provided an update a few hours before game time, announcing that due to unplayable field conditions after heavy rain in Tyler, the match would be rescheduled.